(Reuters) -- Western European car sales rose 1 percent in August, the 12th consecutive monthly gain, as faltering German and French demand was offset by strong gains in the UK and Spain, according to data compiled by LMC Automotive. Registrations rose to 640,123 cars in what is a traditionally slow holiday month, the automotive consulting firm said, but the selling rate fell back to 11.91 million cars per year from 12.18 million in July on a seasonally adjusted basis. The German, French and Italian sales declines reported by trade organizations this week have stoked concerns that the recovery may be losing momentum. Germany, the region's biggest market, fell 0.4 percent to 213,092 last month, while in France sales dropped 3 percent to 83,340. In Italy, deliveries were flat, falling 0.2 percent to 53,191, in contrast to its southern neighbor Spain, where a run of subsidy-fueled growth continued, with deliveries up 14 percent to 45,355 in August. Spain, one of the markets worst hit by the financial crisis, saw its annualized selling rate rise 2 percent to 849,155 cars, LMC said. 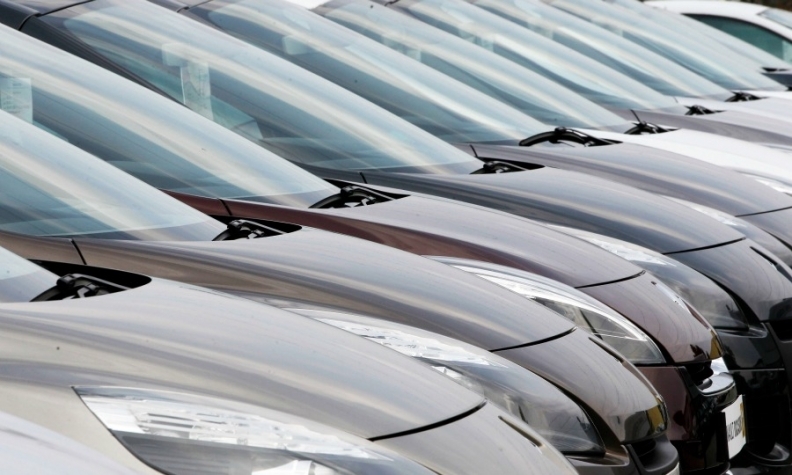 UK car registrations rose 9 percent in August to 72,163, the SMMT industry body said on Thursday in a statement. The UK, which has had two and a half years of continual consecutive monthly sales rises, will likely “level off during coming months” as the market finds its natural level, the SMMT said. August was "a slightly disappointing month, with Germany, France and Italy all lower," LMC forecasting chief Jonathon Poskitt said. "Recent results continue to indicate the road to recovery will be a bumpy one." Europe's auto market bottomed out in 2013, the end of a six-year slump, but the tentative rebound remains vulnerable to weak consumer confidence and economic outlooks, clouded by mounting geopolitical uncertainties. LMC maintained its 5 percent full-year sales growth forecast, in line with the year-to-date gain.